Jason Wright will perform sacred, familiar and holiday music from 5 to 5:30 and 6 to 6:30 p.m. at Bella Caffè. The Arts Downtown PR series continues from 5 to 7 p.m. Thursday, Nov. 15 at four locations in downtown Park Rapids. Jason Wright will be performing a blend of sacred, familiar and holiday music from 5 to 5:30 and 6 to 6:30 p.m. at Bella Caffè, 116 3rd Street West. Wright recently moved to Menahga and will serve as interim director of the Park Rapids Classic Chorale when Jim Wheeler retires. 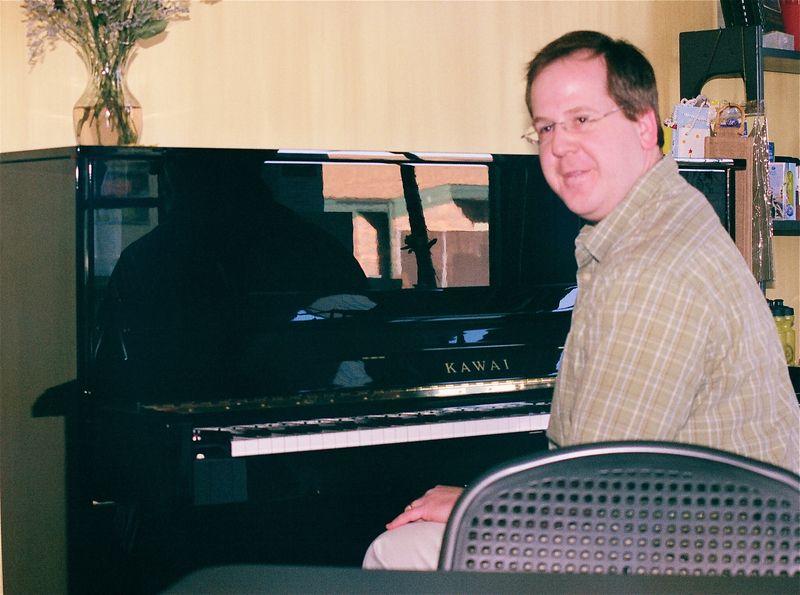 He continues his work with the nationally recognized pianists, Tim and Ryan O’Neill, selling music, editing sheet music and traveling as an associate pianist to promote their albums. Chef Tom Geraedts will show how to prepare artistic, decorative food trays for the holidays from 5:30 to 6 and 6:30 to 7 p.m. at Beagle Books, 112 3rd Street West. Taylor Schroeder will perform classic folk and folk/rock from 5:30 to 6 and from 6:30 to 7 p.m. at The Good Life Cafe, 220 South Main Ave. Schroeder plays a little bit of everything and puts his own gentle twist on some classic oldies; you’re sure to hear something you enjoy. You may have heard him at the Youth Music Showcase events in August. The Park Rapids Lakes Area Arts Council sponsors this activity which is funded in whole or in part by the voters of Minnesota through grants from the Region 2 Arts Council, thanks to a legislative appropriation from the Arts and Cultural Heritage Fund. Next postIt’s Give to the Max Day!